While poking around on pinterest, I've seen a few tables like this one (the tutorial for that one can be found on design*sponge). I've decided I love the dip dyed look. Just enough neon to make the table pop, without killing your eyes. 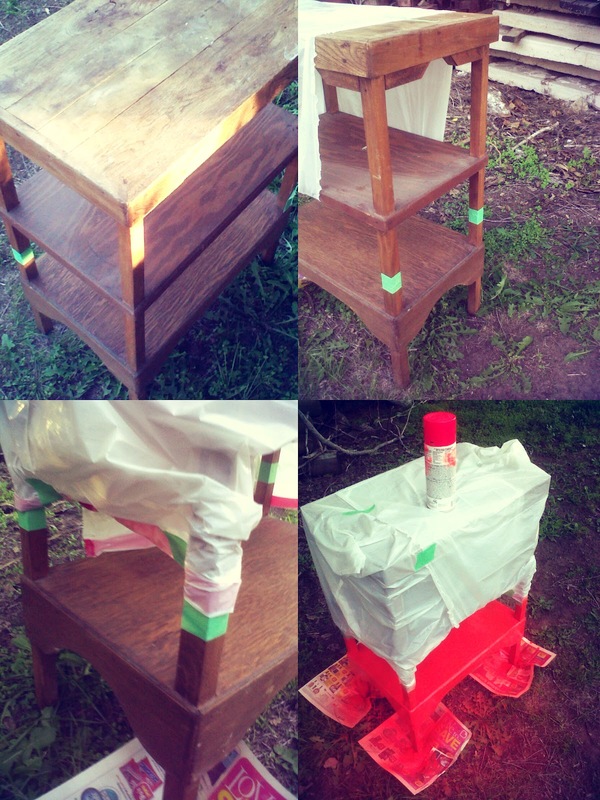 So for this project I used a side table, newspaper, painters tape, garbage bags, and spray paint. Classy list, right? The side table was one our family got from relatives, and the spray paint is the Ace brand, I think. I personally love the results. It's going to go in my studio as soon as it doesn't smell anymore!